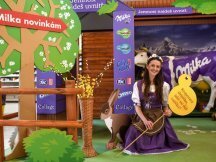 For the Milka brand we have prepared a new activity directed specially at the Easter season. 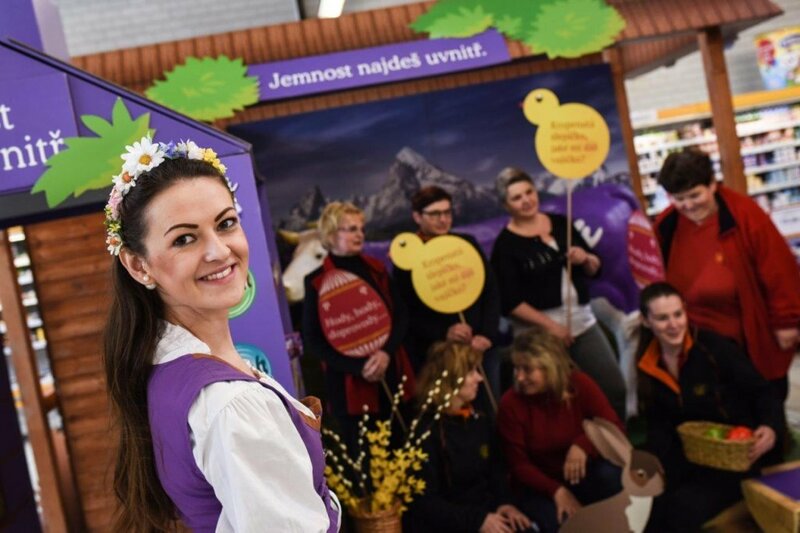 The new playful activity we brought to the Czech and Slovak hypermarkets was in the form of a happy Easter Shop-in- Shop position appealing especially for families with children. 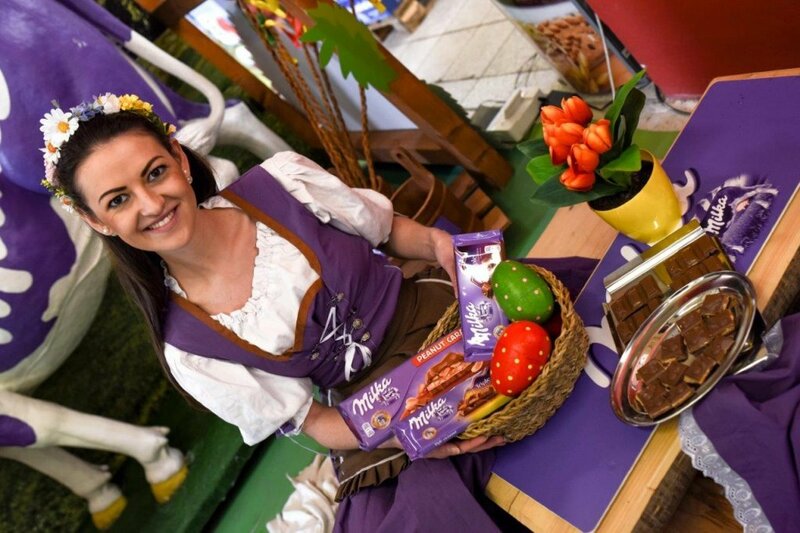 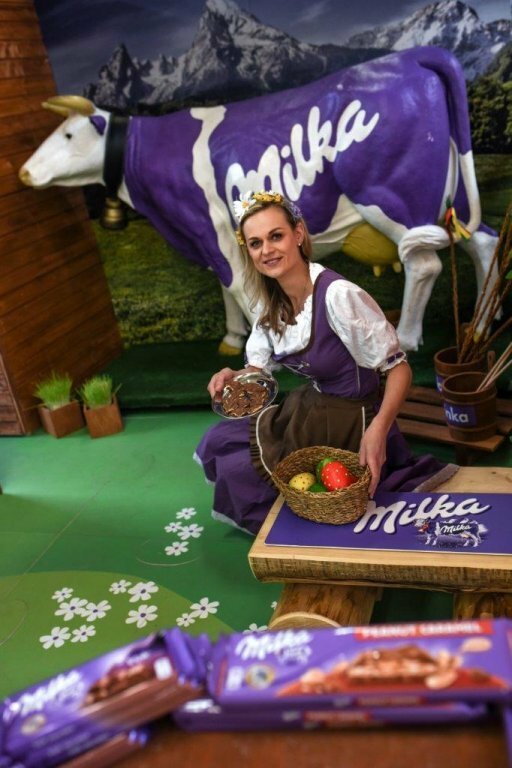 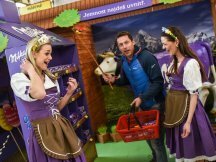 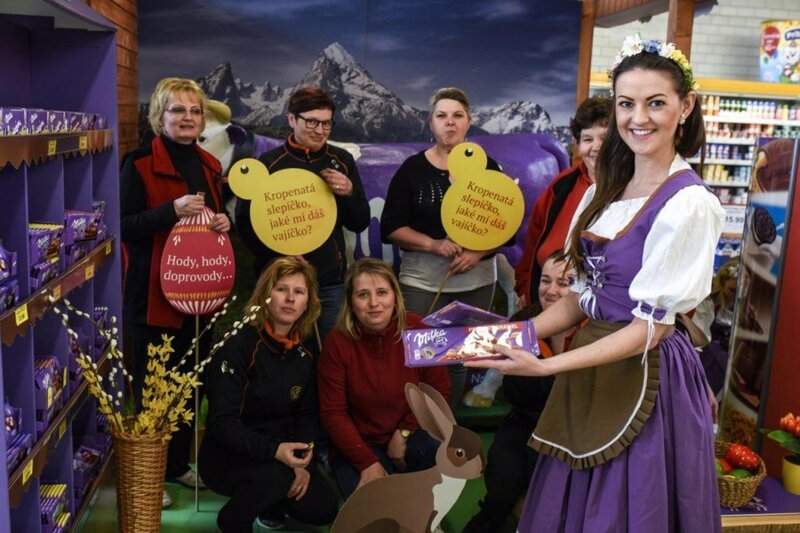 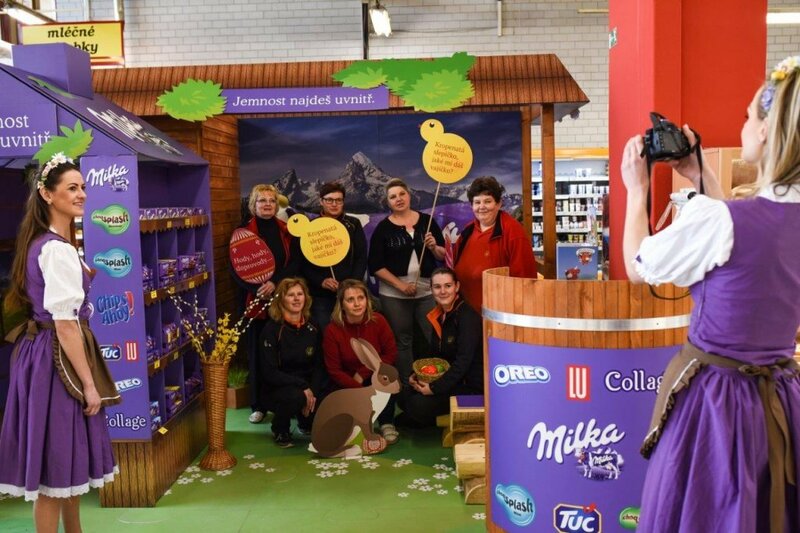 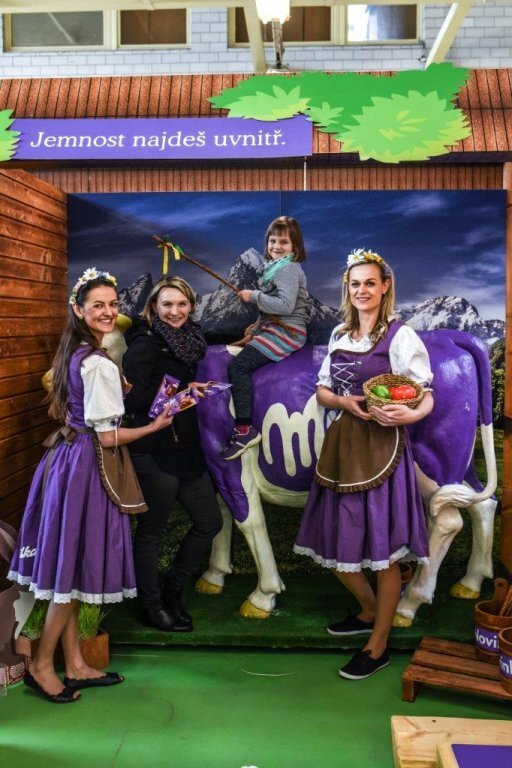 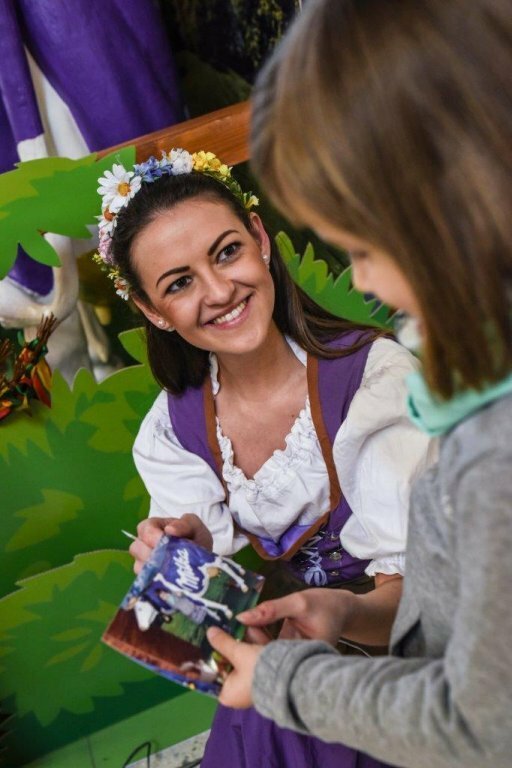 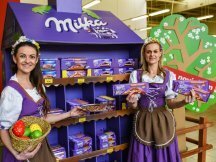 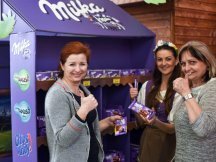 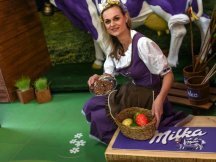 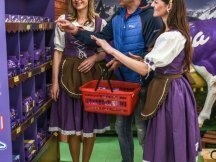 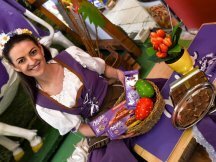 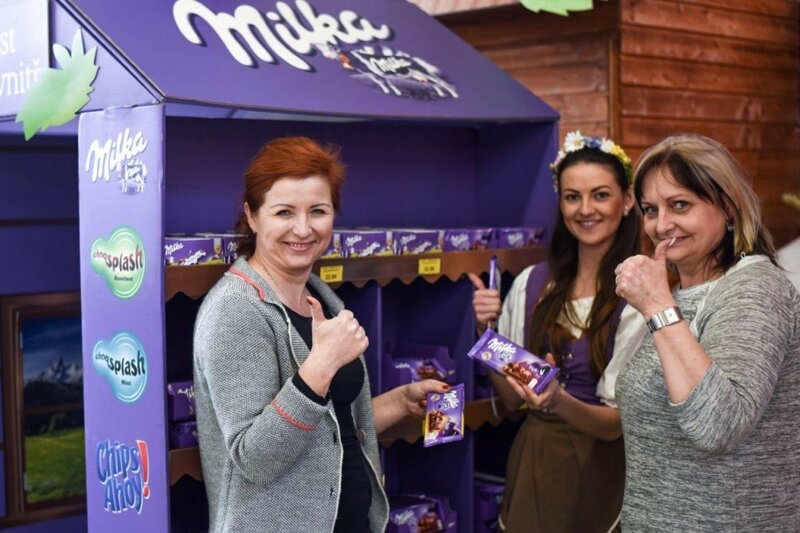 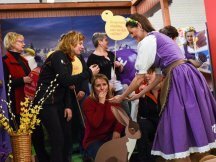 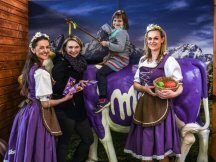 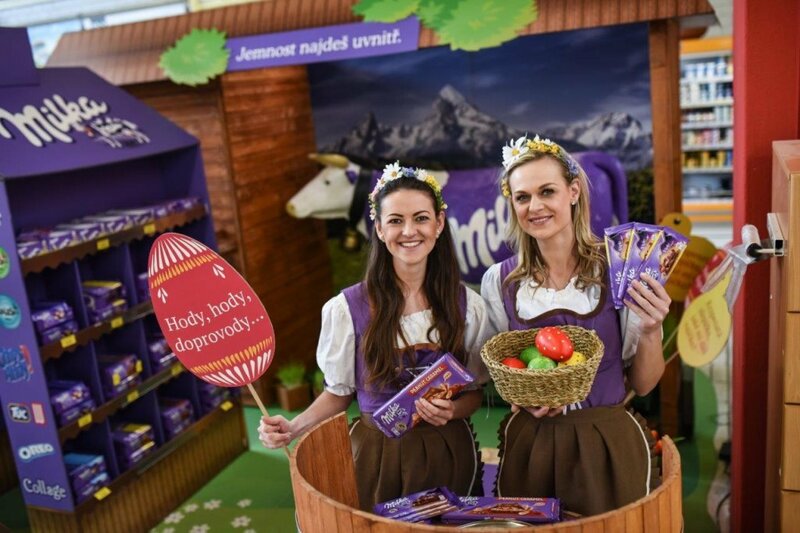 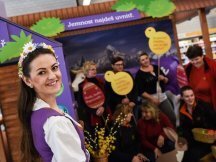 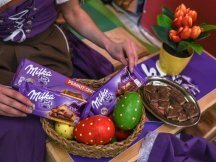 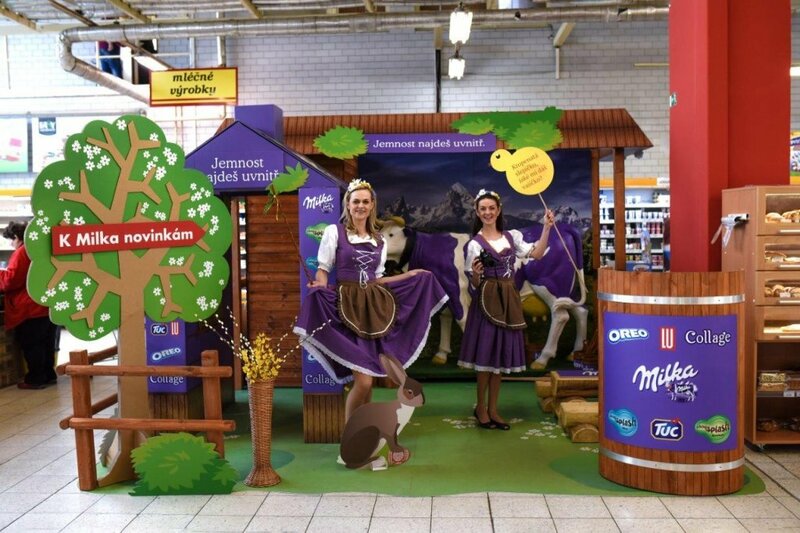 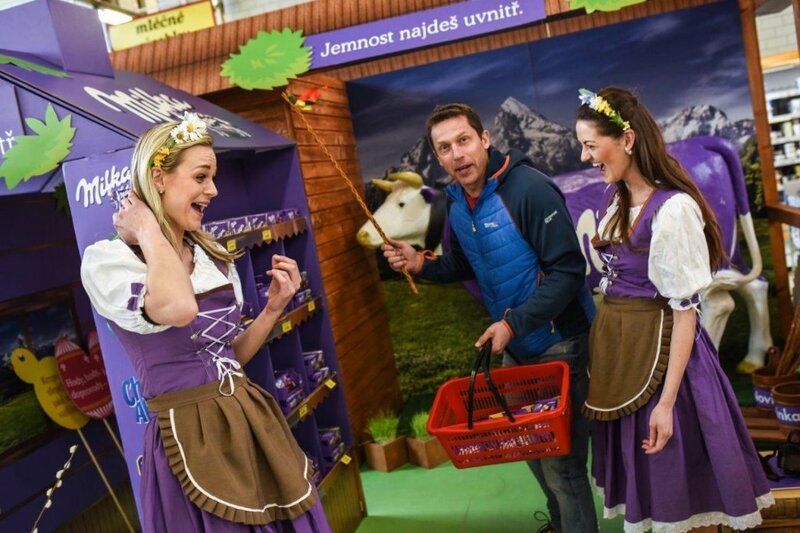 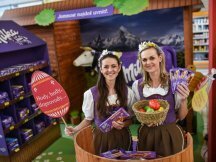 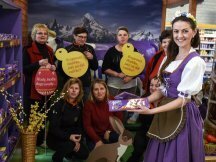 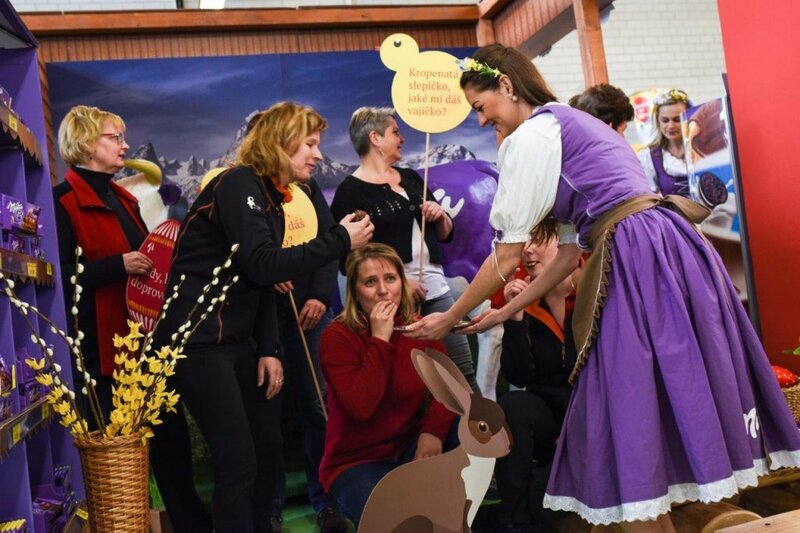 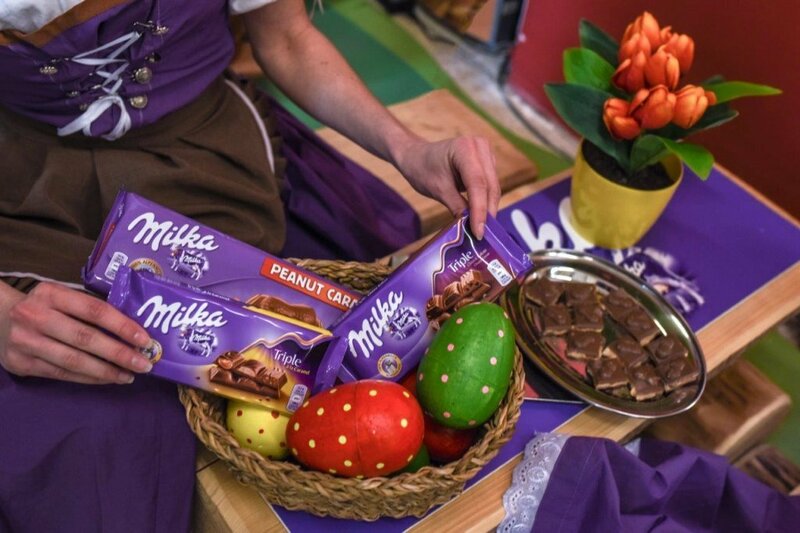 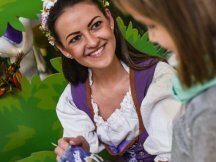 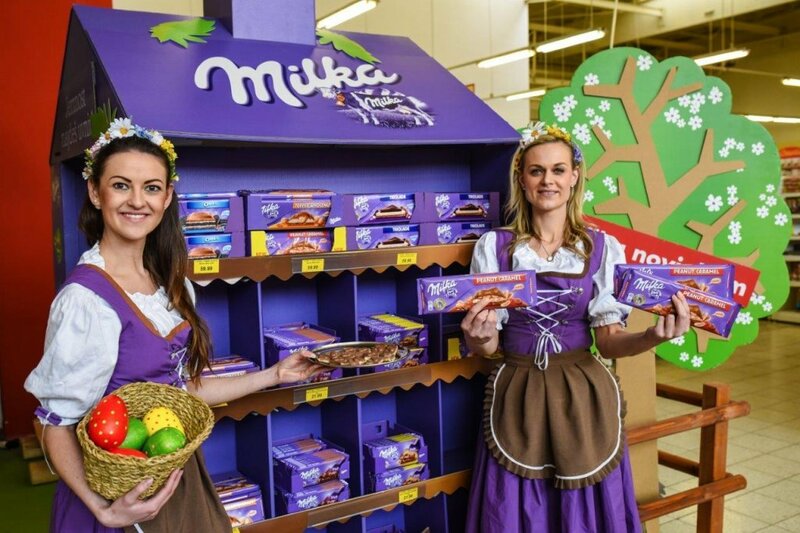 In our Milka position, the Easter carolers could have obtained a sample tasting of the new Milka products, enjoy the Easter props and if they bought the products, all of them could take a family photos with the purple cow herself. 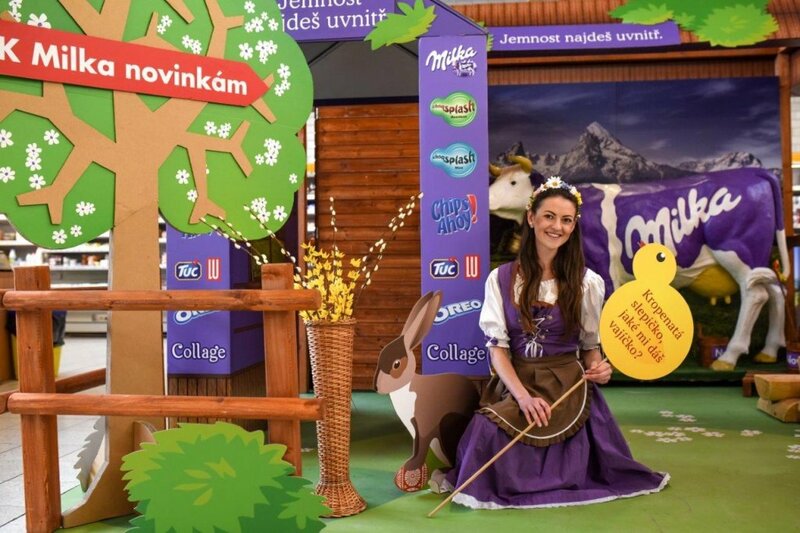 During the first 15 installations we brought joy to more than 8 thousands customers.